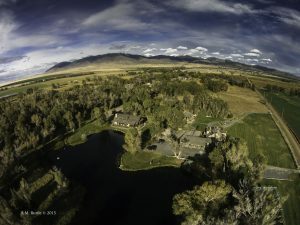 Healing Waters Lodge is located in the beautiful Ruby valley in southwest Montana. We call the Tobacco Root Mountains and Ruby Range our neighbors and provide us with water for some of the best fisheries to be found in this area. Our experienced guides can provide quick and easy access to the Beaverhead, Big Hole, Jefferson, and Ruby rivers, plus plenty of private water opportunities making Healing Waters Lodge unique. For more information, please contact Mike Geary at 406-459-2030. Photo by Anne Ruttle of RuttelWild 2015.